My brother has hit the mid 40s. It’s hard to believe. Ben and I are the youngest of six boys and a more than a decade apart. I remember the day of his birth and those that followed like yesterday. I would hover outside the newborns viewing room at the Dandenong Hospital for hours at a time, staring through the glass at this new little brother of mine. To celebrate his birthday, I cooked Ben dinner and took it to his place: an entree of pan-seared scallops atop a bed of mango and avocado with a lime and coconut dressing; a delicious slow-roasted lamb leg encased in a marinade of onions, chilli, ground cumin and garlic; a salad of grains and fresh herbs and a rich yoghurt dressing laced with cumin seeds, honey, and a handful of pomegranate gems — and served with warm turkish bread. It was good. We finished the night with a chocolate tart. Its recipe is inspired by a pastry cook I worked with years ago and prompted in my memory by a similar dessert I found more recently here. It provides a rich chocolate taste but without cream or butter to weigh it down. Encased in a chocolate shortbread-like crust and topped with some macerated strawberries, it’s a lighter but lovely end to a meal. Ben had seconds. So did I. Using an electric mixer, cream the butter and sugar until a thick and pale consistency. Add the flour and cocoa and mix at low speed until well combined. Tip the dough into a 23cm flan tin and work the dough gently with your hands to cover the base and the sides. What you want is a thin layer of pastry dough spread evenly. Add the icing sugar and Sherry of Cointreau to the strawberries and leave covered for an hour or so. The strawberries will soften slightly and become syrupy. Place the gelatine leaves in a bowl of cold water for around 5 minutes. Place the chocolate and coffee into a small heatproof bowl and place the bowl over a simmering saucepan of water. Stir until the chocolate has melted and is of a smooth consistency. Set aside. Retain a couple of tablespoons of the simmering water in the saucepan and add to it the softened gelatine leaves, stirring to dissolve. Add to the chocolate mixture and still well. Using an electric mixer, beat the egg yolks, vanilla and half of the sugar until thick and pale in consistency. Whisk in the chocolate mixture until well combined. Chill for 15 minutes or so. Whisk the egg whites until soft peaks form and add the remaining sugar a little at a time until it forms a glossy meringue. Fold the meringue into the chocolate mixture and scoop the filling into the cooled pie crust. Remove the tart from the flan tin and top with the macerated strawberries. Serve with a generous dollop of thick unsweetened cream, or just as it is. It’s good either way. This week is the final week of the 2017 Feast•Pray•Love art prize and exhibition hosted by the Collins Street Baptist Church. It’s an exhibition that invites artists to explore the deeper meanings evident in our life at the table. Now in its fifth year, the exhibition is one I feel especially connected to, not only because it arises out of my own church community, but because it adds a poetic and creative depth to the broader conversation on the role of food in our lives. Coinciding with the annual Melbourne Food and Wine Festival, one of the most significant of its kind in our region of the world, this exhibition invites the community into a more reflective space. 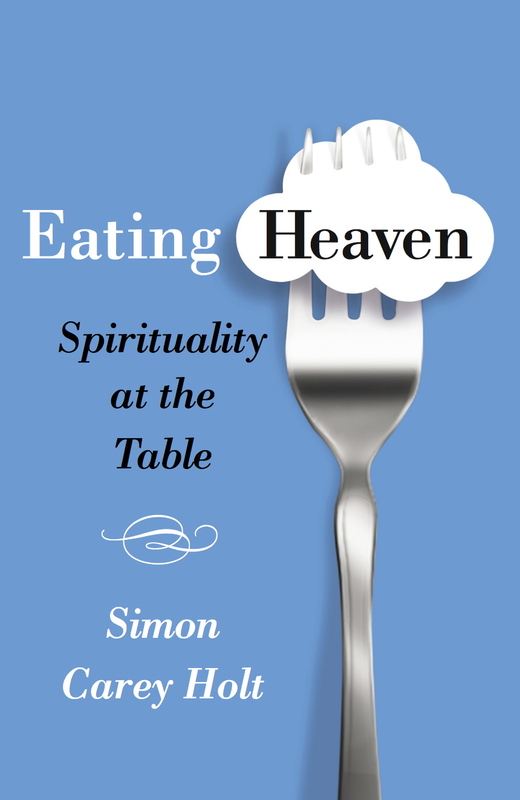 There is much going on in our eating and drinking, so much that taps into our spiritual longings, our stories and our most formative relationships.